The University of Richmond uses mixed or single-stream recycling on campus. All recyclable materials can go in any blue recycling bin. Recycling is an important piece of the University's sustainability efforts, but remember that reducing and reusing are even more important. The University uses blue recycling bins and black, grey, or tan trash bins. 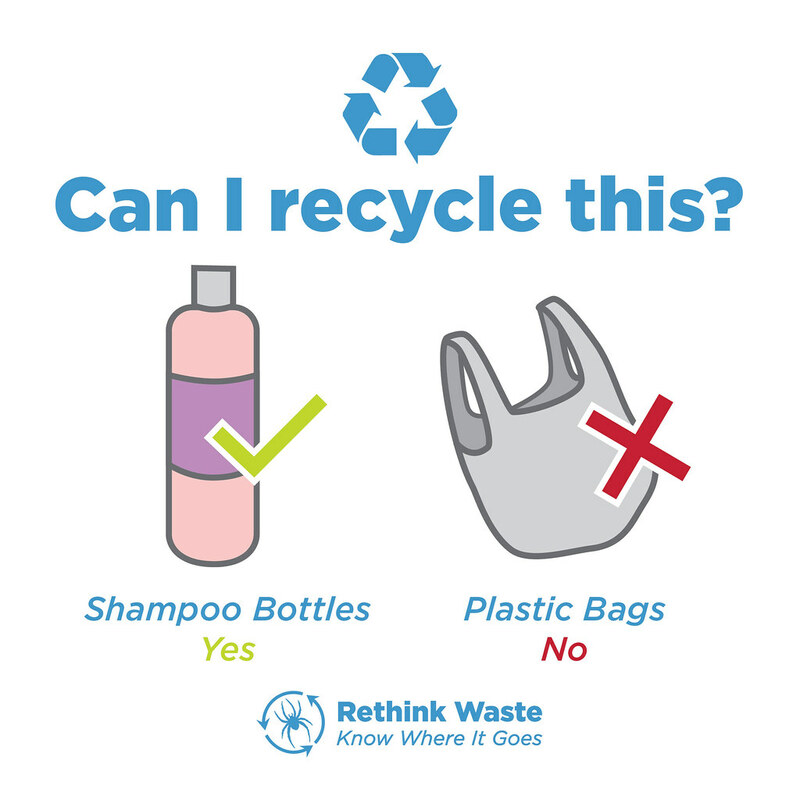 Please read the labels at drop off locations to ensure that your trash and recycling end up in the correct bin. University of Richmond is committed to an 75% waste diversion rate by 2025 and that is only possible if each faculty, staff, and student do their part to recycle and be a green spider. 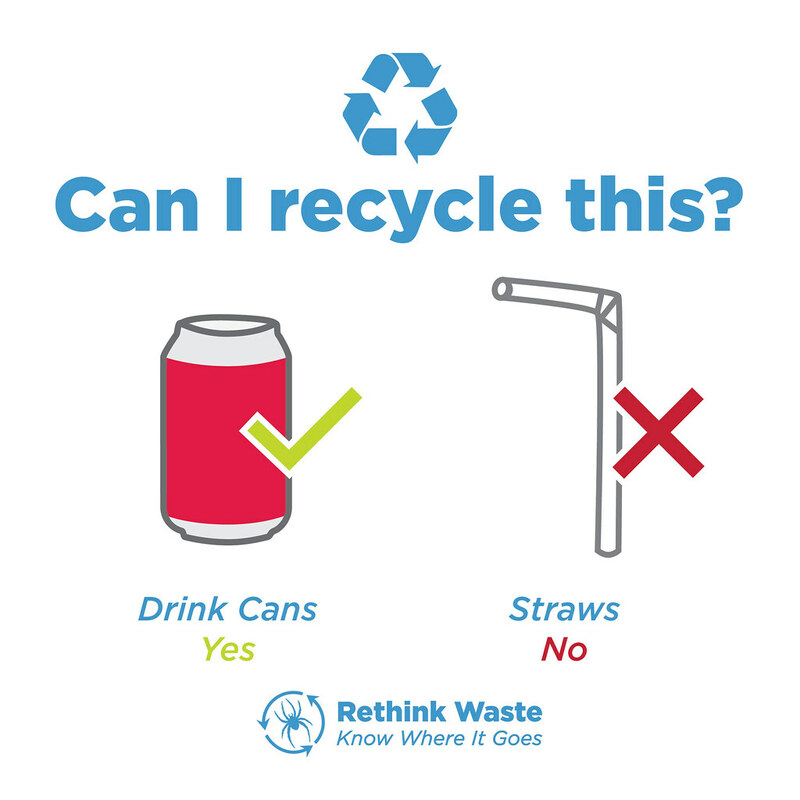 If you have a suggestion for how to improve recycling in an area you use please let us know. What can I recycle in bins on campus? 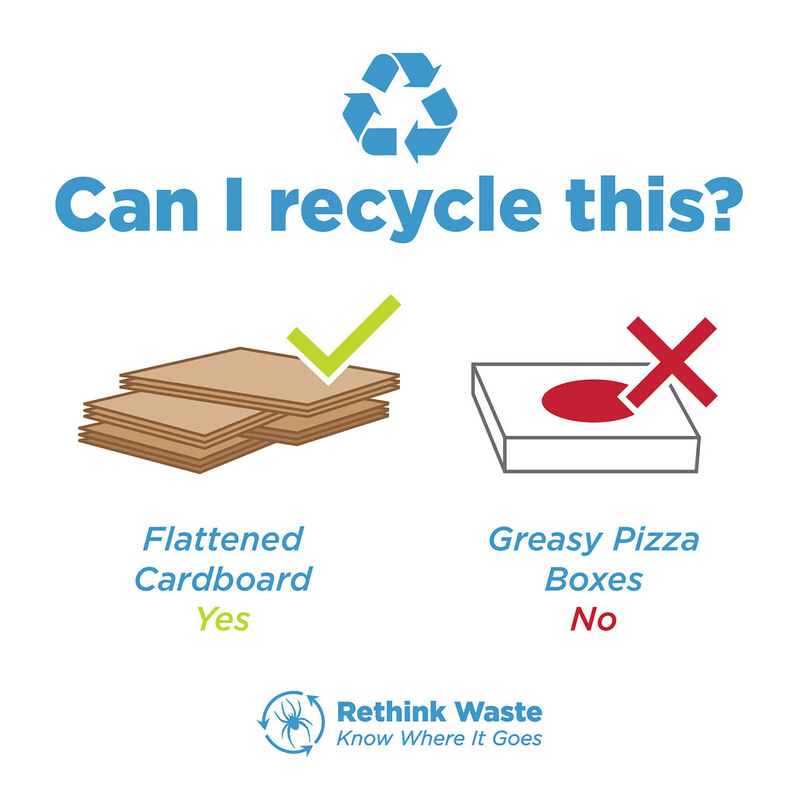 What cannot be recycled in bins on campus? Where can old electronics be recycled? To recycle University owned electronics including laptops, PCs, monitors, and printers, call the Information Services Help Desk for information and assistance at (804) 287-6400. The University reuses computers whenever possible. Once a unit has reached the end of its useful life at the University, it is recycled. The recycling process reduces the University's environmental impact from electronics. For personal electronics, the University has a special collection bin in the lobby of Boatwright Library outside Eight-Fifteen. UR also hosts an e-waste collection each spring. Call University Facilities for information on rechargeable and other batteries at (804) 289-8600. Alkaline Battery recycling is available in the library entrance outside 8:15 and just inside the bookstore entrance. This program is suspended during the summer. Can the University recycle furniture? Yes. Call Procurement and Strategic Sourcing for more information at (804) 287-6827. Students can also donate personal furniture to be sold at the Big Yard Sale. -Always carry a reusable water bottle or coffee cup. -Keep a scrap paper basket beside printers. -Skip the plastic bag and carry a reusable bag instead. -Buy second-hand clothing, furniture, and other items when possible.